Hi ladies! Here’s my #momlife New Years Eve outfit! A nursing friendly plaid top from @Shop9Fifteen, and a fabulous printed vest paired with my black mini skirt with over the knee boots! What are your plans for ringing in the New Year!? The lovely Jacqueline and I post our link-ups every Thursday! 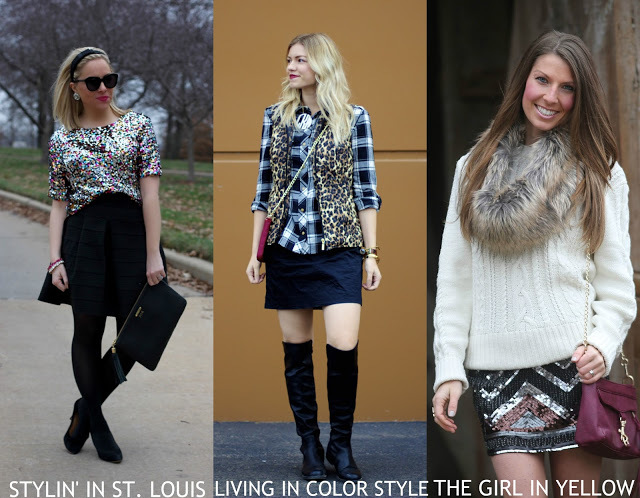 This week our theme is Glitz and Glam or you can pick any fashion/beauty related post to link up! Come back weekly to visit us! This week’s spotlight is Melissa of Stylista Fitness. 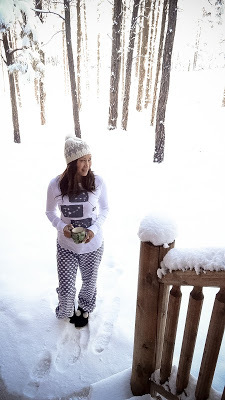 Jacqueline and I love her cute holiday pj’s from last week’s link-up! Be sure to stop by her blog and say hello! 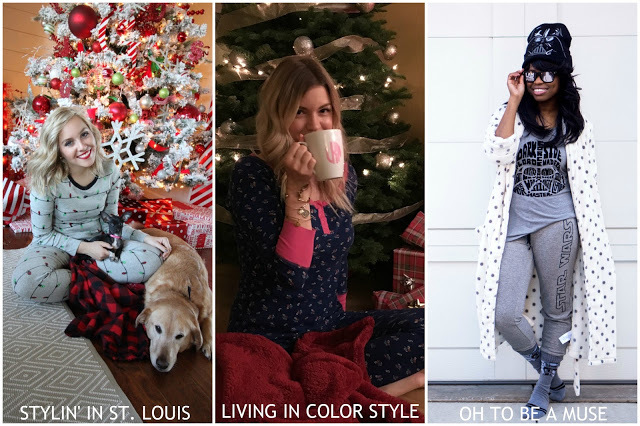 NEXT WEEK: for next week’s trend we’re styling cozy knits. Thanks so much for linking up each week! xo. Great outfit! Love the boots and bag! Happy New Year! I love how you mixed patterns and added a great pop of color! So pretty! 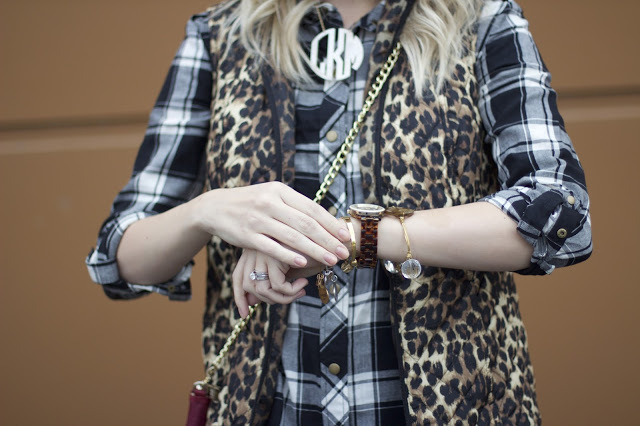 The leopard vest over the plaid is so neat! Happy New Year! Your pattern mix is on point girl! I love the vest! OMG a leopard print puffer vest!?!?! Must have! Superb outfit, perfectly styled and so chic! Happy New Year beautiful! 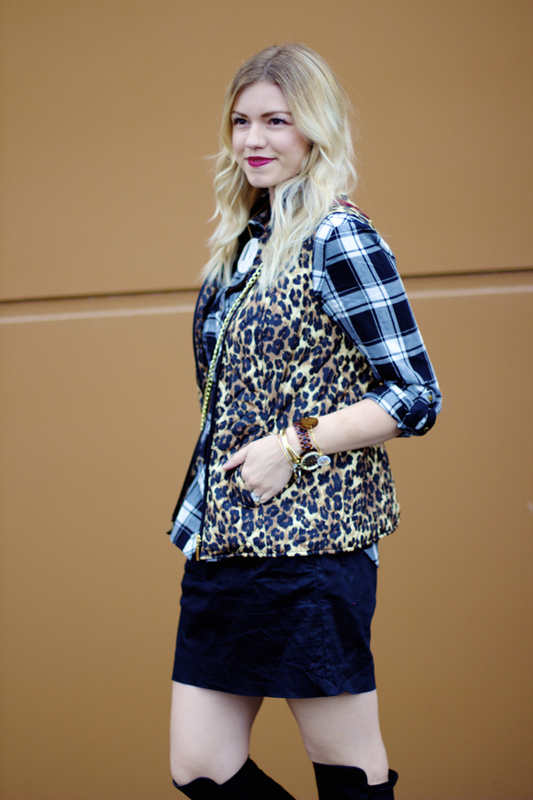 I love how you mixed plaid with animal print. You are good at mixing prints. Glam and gorgeous! Happy 2016!